To say this couple is an inspiration is an understatement. 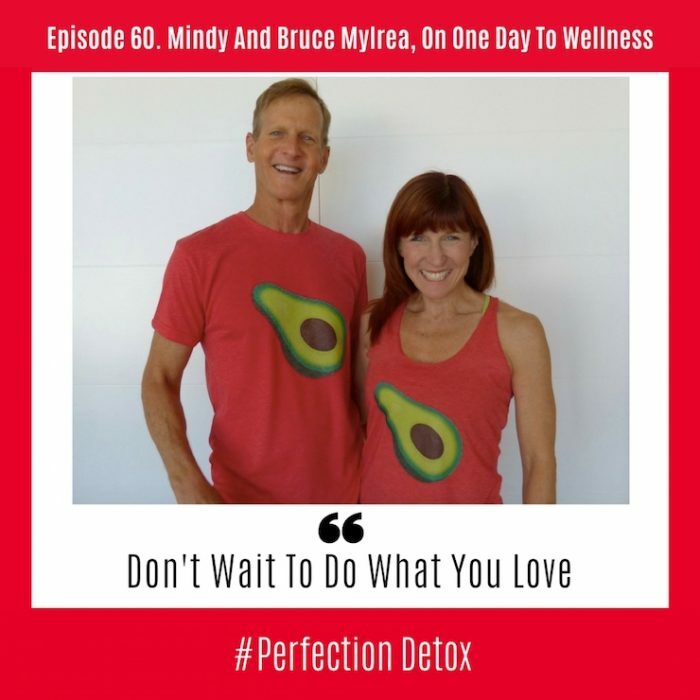 Today I talk with Mindy and Bruce Mylrea about what it takes to be a couple who are living everything they are teaching. There are few I know, who walk their talk as do Mindy and Bruce and this weeks conversation will give you a sneak peak behind the scenes of a day in the life of the Mylrea’s. Amongst many other topics we discuss the day that Bruce decided to quit his high paying day job and join Mindy on the road. We talk about the courage it took to make that move, and Bruce shares that is was the combination of wanting to find more meaning in his life and to be surrounded by a more upbeat and positive focused community, that helped him make the leap. Mindy and Bruce go back 35 years and share their story of how they first met. It was not fitness but rather a bar that was a catalyst for the perfect start to their fitness love story. I ask Mindy about her early beginnings into the world of fitness. While she spent a few months as a singing, chocolate chip cookie to support her acting desires, it was fitness that enabled her to pursue her passion of acting, paying the bills as she paved her way. Eventually Mindy realized that fitness was to be her calling and jumped in full time. Mindy has always been a trend setter and we talk about what it takes to be a leader versus a follower and what it takes to move into the space of the unknown. Many years later and now with Bruce by her side, this dynamic couple are expanding their reach and taking their mission to make wellness available to everyone, on the road. Mindy Mylrea is also the 2017 LifeTime achievement Award Winner for CanFitPro, 2016 Empower Instructor of the Year, 2015 PFP Trainer of the Year, 2015 International Presenter of the Year, 2013 CanFitPro Specialty Presenter of the Year, 2008 ECA OBOW Fitness Presenter of the Year, the 2004 Can Fit Pro International Presenter of the Year, the 1999 International IDEA Fitness Instructor of the Year, a National and World Aerobic Champion, a 361 sponsored athlete, and a five star presenter for IDEA. Mindy is an advisory board member for Oxygen Magazine, an international presenter, author, motivational speaker, video personality, and CEC provider for both ACE and AFAA. She is the creator and lead talent behind Gliding, the Gliding discs exercise program. She is a master trainer and on the pro development team for Schwinn Cycling, Body Bar, and Bosu. She is the creator of Tabata Bootcamp that earned Most Impactful Program of 2013, and owner of FitFlix Productions DVD production services. She has authored numerous articles and stars in over 400 instructional videos. Bruce and Mindy have worked together for 15 years in the fitness and wellness industry and present both fitness programming and nutritional education together. They are the proud parents of three boys and have been married for 35 years. When not in the RV they live in Santa Cruz, California.